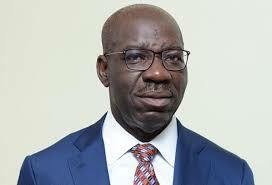 Home » » Edo orders tricycle operators out of unapproved routes. Edo orders tricycle operators out of unapproved routes. Special Adviser to the Edo State Governor on Media and Communication Strategy, Crusoe Osagie, who spoke to journalists in Benin, the state capital, yesterday, said: “Government observed that some tricycle operators carry out their business in restricted areas, and on major roads, thereby, contravening government’s policy on where these tricycles should operate. Meanwhile, Governor Godwin Obaseki said his administration has cut barriers to trade, such as multiple taxation, unruly land allocation practices and strengthening a host of investment enablers, to make the state attractive for investors. The governor made the disclosure while declaring open, a one-day investment promotion summit in Benin, organised to intimate businesses in the state with a £10 million potential investment inflow proposed by the Market Development Programme in the Niger Delta (MADE) for the state. The summit, which was organised by the Edo State Investment Portfolio (ESIP), in collaboration with MADE, featured deliberations on solutions to irregular migration by exploring alternative means of livelihoods and opportunities for income generation by members of vulnerable groups. The event also kick-started the process of developing an investment brochure that will attract firms, industries and boost economic activities in Edo State. Obaseki, who was represented by his Chief of Staff, Chief Taiwo Akerele, said in the last two years, his administration has continued to push key reforms that have stimulated business growth through improved ease of doing business in the state. Representative of the Investment Portfolio Management of the Market Development Programme in the Niger Delta (MADE II), a programme funded by the Department for International Development (DFID), Rufus Idris, noted that vital aspects of the programme will x-ray how Edo State can be positioned for marketability to local and international investors. In a statement, the governor expressed delight at the pace of work on the project in the build-up to Alaghodaro 2018, which marks his second anniversary, assuring Edo indigenes in the Diaspora that the new estate meets different housing needs, ranging from affordable to premium house types. Emotan Gardens is a 70-hectare housing estate at the Sokponba axis of Benin City, being developed by the Edo Development and Property Agency (EDPA) and its partners, Mixta Nigeria, the Nigerian arm of Mixta Africa, a leading real estate development company. He said the state government is living up to its promise of delivering affordable housing in the state with the Emotan Gardens Estate, with the first set of subscribers scheduled to move into their housing units before the end of the year.